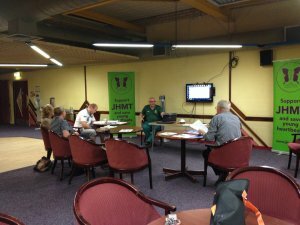 Another key milestone for Joe's Trust as a number LCC sports staff took part in the BHF Heartstart CPR instructors training course to deliver the Joe's Mini- Heartstart 4 sports CPR training programme to city based community sports clubs. 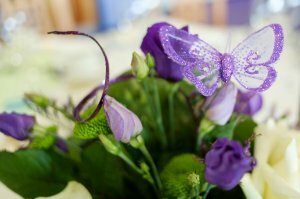 A heart with an abnormal structure (shape) can go into an abnormal rhythm. This can also happen if the shape is OK but the wiring is wrong. 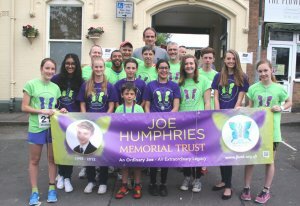 FAMILIES and young children turned out in force for the inaugural Joe's Jog, a mile-long fun run in memory of 14-year-old Joe Humphries. 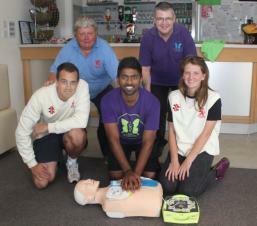 CRICKETERS in Loughborough have been learning vital life-saving skills aimed at ensuring people know what to do if someone collapses in sudden cardiac arrest. 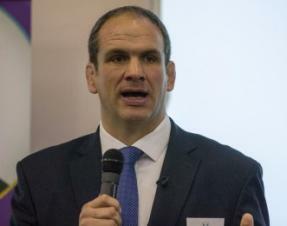 Gateley UK kicked off the launch of the Inspire Awards with an unforgettable evening dinner at Leicester Tigers Rugby stadium. 'Congratulations' from everyone at JHMT to both Leics' athletes Eden Francis and Laura Samuels on their well deserved selection to represent Team England ( athletics squad) at the Commonwealth Games in Glasgow 2014. 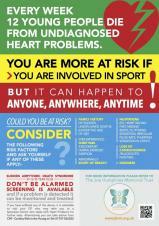 12 young people aged 12-35 in Britain die each week from SADS – undiagnosed heart problems. They are denied the basic 'human right' to experience life to the full and develop their potential. 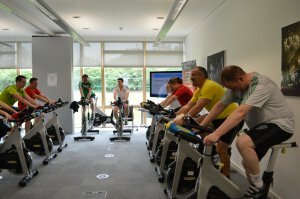 The JHMT Inspire Awards scheme has been launched to help young people in Leicester and Leicestershire achieve their ambitions. 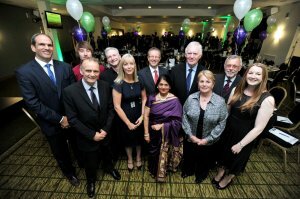 A FUND-RAISING dinner to launch a new awards scheme for young people has raised more than £6,000 for charity. 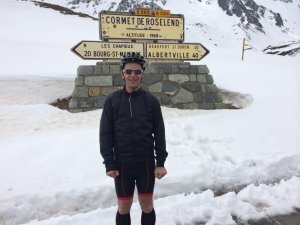 SPORTING enthusiasts have been raising money for local charities by taking part in a virtual tour of Brazil, linked to the upcoming World Cup. 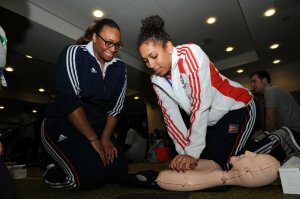 A ground breaking conference for healthcare practitioners is returning to Leicester for a second year to examine issues around sudden heart deaths in young people. 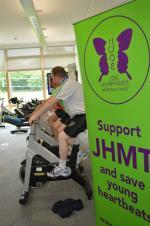 The JHMT is proud to announce the first ever Joe's Jog! 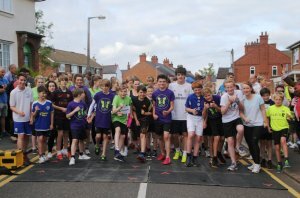 This ​new ​event ​will ​take ​place ​45 ​minutes ​prior ​to ​the ​annual ​Rothley ​10k. 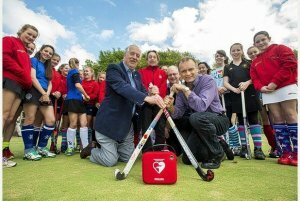 Representatives of Leicestershire Hockey Association (LHA) gave the potentially life-saving device to St Margaret's Pasture Sports Centre, near Abbey Park, in Leicester. 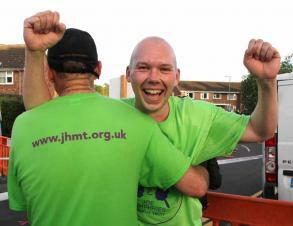 Wear the 'Green' and join Joe's team at this year's Rothley 10k 2014! 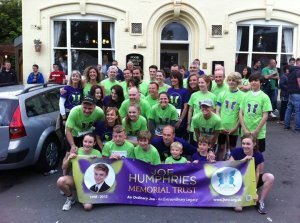 The recent fundraising black tie event has raised more than £5,000 to help support the work of the Joe Humphries Memorial Trust (JHMT). 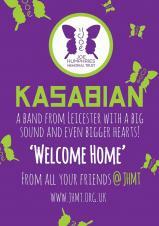 The gala dinner was held on Saturday 26 April and took place at the LCFC King Power Stadium.